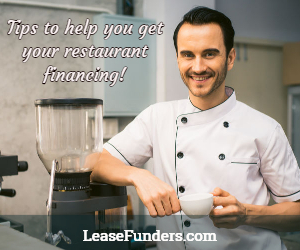 If you are planning on opening your own restaurant, one of the biggest challenges you will face is equipment financing. Setting up your own restaurant demands a considerable amount of cash. For one, you need to invest in restaurant equipment such as stoves, grills, gas range, freezers, tables, seats, POS system, flatware, computer, etc. 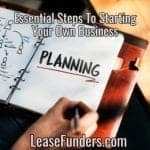 You also need to invest in your marketing, creating menus, staff, and permits. Think about how much start-up capital you will need to be able to buy all the necessary equipment, furnishings, various soft cost, and necessary permits. 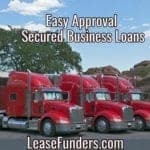 What about applying for a business loan? True, you can apply for a business loan, but in a high risk industry such as a restaurant, you want to be as “liquid” as possible. Meaning you want to have a large amount of working capital. If you qualify for a business loan, you would be better off keeping that money in the bank ready for that “rainy day”. You should never count on getting a loan if you should run “short” later after opening up. Restaurants are considered very high risk. Many banks will not be eager to finance you. Especially if you come to them stating you are in a desperate situation and have run out of working capital! 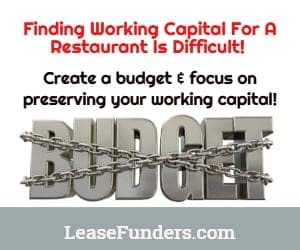 Most restaurants that run out of working capital are forced to look into MCA (merchant cash advances) because getting a bank loan is so difficult in that situation. I’m not saying MCA’s are bad. They fulfill a need and have a purpose. But they are meant to be a short term / temporary solution to a cash flow problem. Long term use can prove to be expensive. That’s why we suggest to all our startup restaurants to lease their equipment. Some people think leasing means they won’t own the equipment. That’s not true. Most of our equipment leases are “lease to own” so at the end of the lease the business owner owns the equipment. Shop around. Compare quotes from several equipment vendors. Make sure you understand what is included in the quote and what is not. Will they install the equipment? If its used, does it come with any kind of warranty? Negotiate with your vendor. The internet has made doing business a little “impersonal”. Too many times we just shoot an email to a company to find out pricing. When negotiating for a better price I’ve found the phone to be more effective. Many vendors will offer a discount on large orders if you just ASK. Build a rapport with them, and choose wisely. Sometimes that phone call has also helped me to make the decision to NOT buy equipment from a certain vendor. Take the time to make that call and you will be able to find the best pricing for your equipment. Used restaurant equipment – Don’t forget the benefits of buying used equipment. Generally its much cheaper and as long as its’ been kept up by the previous owner, you may be to able to buy a higher end piece of equipment for the same price as a new lower end. The major drawback to buying used is if the equipment breaks after you purchase it. A lot of dealers that sell refurbished equipment will give you some kind of warranty. Even a short one like 30 days. But that is not always the case. If you are buying it “as is” factor in possible repair cost when negotiating. Check your credit. 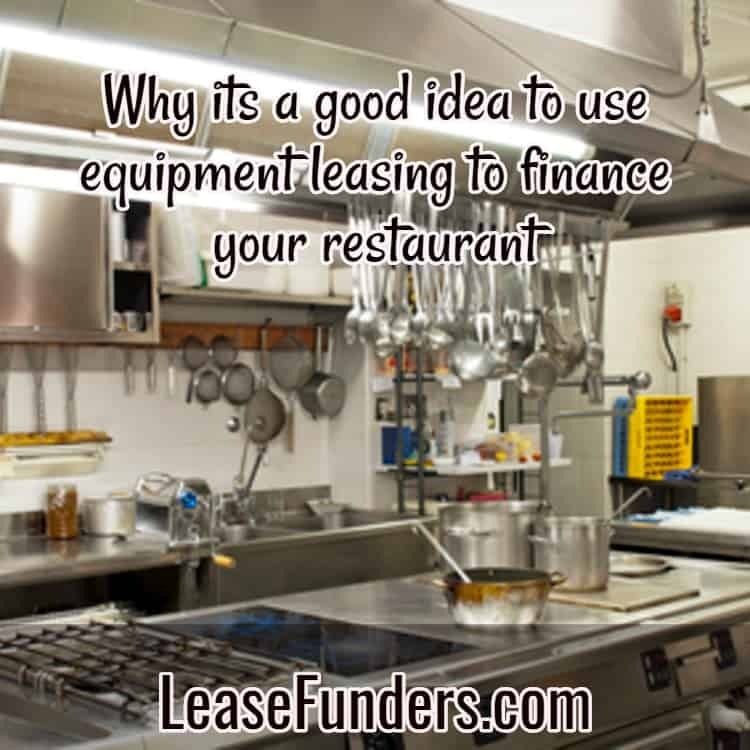 Some restaurant equipment leasing companies will only approve clients with good to excellent credit history. They may also have a minimum time in business requirement. 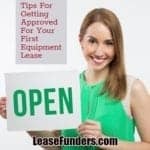 Before you fill out an equipment lease application, make sure you qualify for their program. Again, a quick call or an email can accomplish this for you. 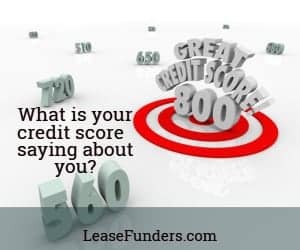 Here at Leasefunders.com, we can finance startup restaurants and we have a bad credit equipment leasing program for restaurant owners with credit problems. Click the above links to learn more about those programs. Look for free lease product distributors. Some product distributors offer a “free lease” If you make them your official supplier. For instance, if you offer coffee and beverage in your restaurant, find a distributor that will provide you with a coffee maker or a freezer at no extra cost because you are only serving their brand, thus buying all your coffee or refrigerated beverages thru them. Make Sure It’s NSF Approved. If you are going to lease kitchen equipment like blenders, mixers, refrigerators, coolers, etc. you need to make sure that the devices all have the NSF (National Sanitation Foundation) Sticker. Commercial kitchen appliances that do not have an NSF Sticker may cost you levies and fines once your local health department conducts a sanitary inspection. Avoid Overspending. With all the excitement of starting a business and opening up your restaurant, some entrepreneurs may be overspending by taking on too much, too soon. Creating a solid business plan will help you not only map out your business goals but help you to create and maintain a budget. You should be realistic about your needs and consider your budget and space. Follow Local Regulations. You should know that there are specific regulations in furnishing a commercial kitchen. 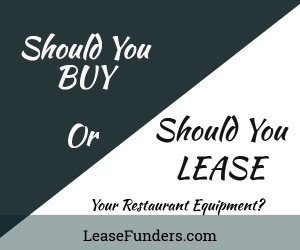 Before submitting your equipment lease application, make inquiries from your local health department, fire inspector, building inspector, and city zoning about the specific rules for restaurants in your area. Consider opening up a franchise. Many franchises have in-house financing. But that’s not the only reason to look into a franchise. 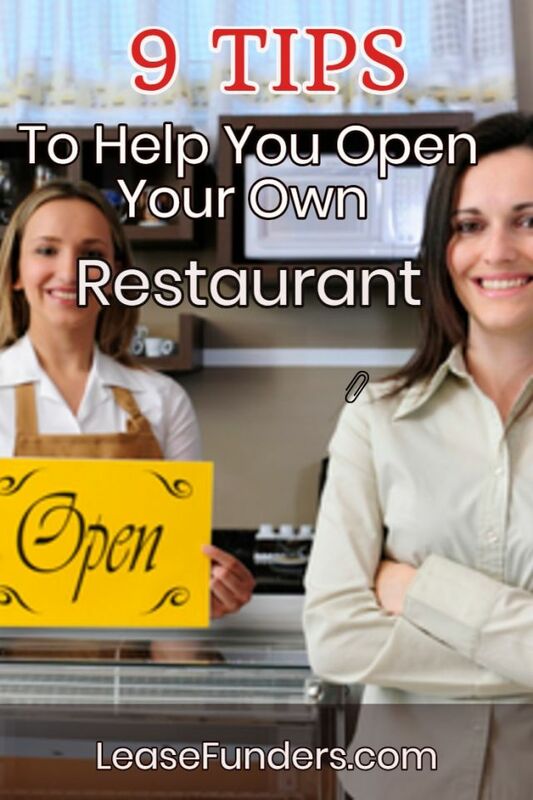 If you have never run a restaurant or any kind of business, the help a franchise gives is well worth the cost. They will not only provide training and guidance in running your restaurant, but they will use their YEARS of expertise to find the best location, hiring guidelines, and of course, they have a proven blueprint of how to run a successful restaurant franchise. Did you want to get equipment for your restaurant or food truck click on the Apply Online button below to apply for an equipment lease! I’m sorry that no one saw your request sooner. Its best to either call the office at 1-888-308-7160 9 – 4 PST or email us on the contact form. Sorry I can’t leave my direct email here because the spammers would get it! Feel free to call us if you are still looking for help!